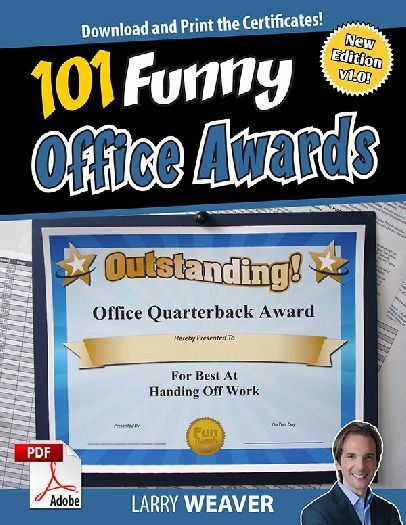 101 Printable Funny Award Certificates for employees, coworkers, interns, and staff plus 6 Awards Templates for making up your own Funny Awards. Created specifically for those who toil away in cubicles and offices. Computers, software, break rooms, desks, office gossip — it’s all covered.